Meal prep delivery services have been around for a while in the United States (at least that's what it seemed like thanks to the ads on literally every podcast I listen to) but, as far as I know, they're a relatively new service here in Canada... and in Vancouver, more specifically. I've always wanted to try one so I obviously jumped at the opportunity to when I was contacted by local business, Fresh Prep. If you follow me on Instagram, you'll know that my Sunday Instagram stories are usually full of my meal prep process for the week. It's something that I do because I prefer to bring my own lunches to work and it also means I can control the food that I'm eating. I was curious to see how Fresh Prep would stack up and now that I've tested it out, I'm ready to share some thoughts. You're given the opportunity to select your meals for the upcoming week (as long as you do so by 11:50 p.m. on Saturday), and they are delivered to your door during a specified delivery window on a day of your choosing. I got a text message when the driver was on his way with an estimated arrival time, and I definitely appreciated the heads-up. The meals come packed in paper bags and are placed in a large cooler bag so that nothing goes bad. Inside each paper bag you get an easy-to-follow instruction sheet and all the ingredients you need to make a full meal for either 2 or 4 people depending on your subscription. Everything comes washed, chopped, and ready to be mixed together. Even with seasonings like sugar or spices, they are perfectly portioned out so you use exactly what you get and nothing is wasted. Prepping vegetables and sauces can be incredibly time-consuming and it's amazing how, by skipping that step in the process, cooking goes so much faster. 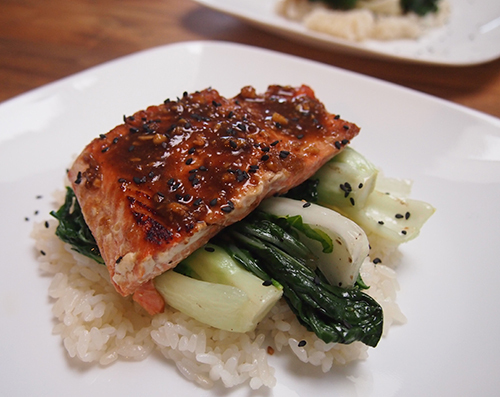 The first meal that I made was Miso Glazed Salmon with Seasoned Sticky Rice and Bok Choy (pictured above). I loved the miso glaze and the recipe was very easy to follow and make. Plus, when I plated it, it turned out really fancy-looking. Overall, I was impressed with the service although it's not something that I personally would use regularly. I happen to actually like my dedicated meal prep days and enjoy coming up with my own healthy recipes of the week. If I was a different person, however, I can see a service like this being very useful considering how limited my time is when I come home from a long day at work and I just want to eat something. The temptation for many in this situation would be to grab some takeout but with Fresh Prep, it takes almost the same amount of time you'd be waiting for a delivery and you know exactly what's going into your meal. 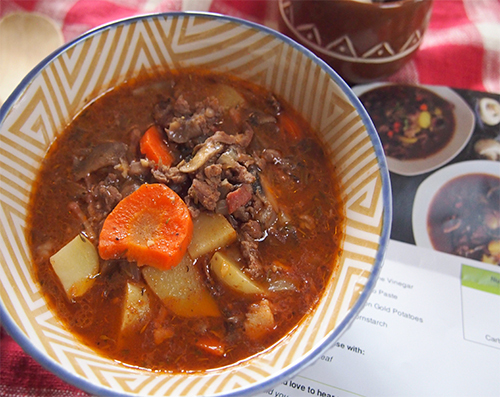 Plus, for those who don't really know how to cook, it can be a great way to learn some new recipes and get more interested in the cooking process. Or, alternatively, a fun and easy date idea where you whip up something yummy for your significant other without forcing them to wait around watching you wash and chop veggies for 20 minutes. Honestly, the possibilities are endless! Their nourishment is totally appalling. At that point to exacerbate matters they have horrible client benefit. The man I addressed was impolite and sounded ghetto, totally amateurish. At that point they put the boss on the telephone who acts a similar way.